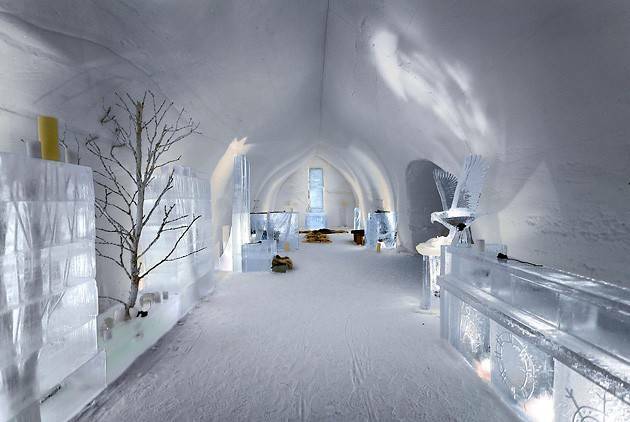 A perfect home is a place where you can rest and live a happy life. 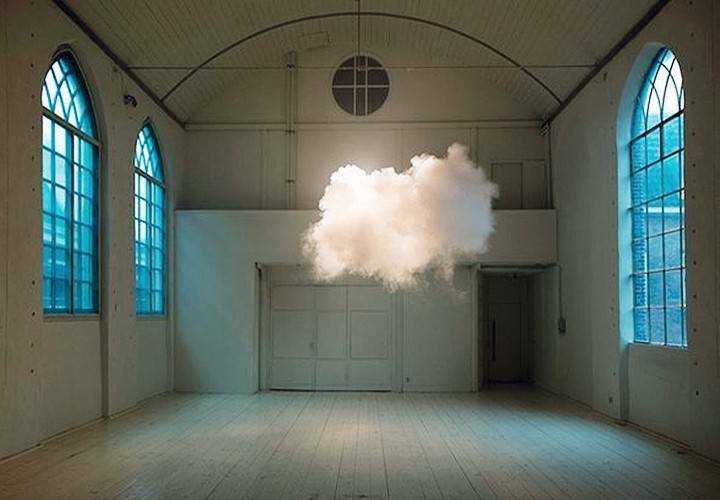 A place where there’s no room for stress and anxiety. It takes much effort to keep it safe and clean though. But don’t worry, there’s a way to do that with no effort at all. 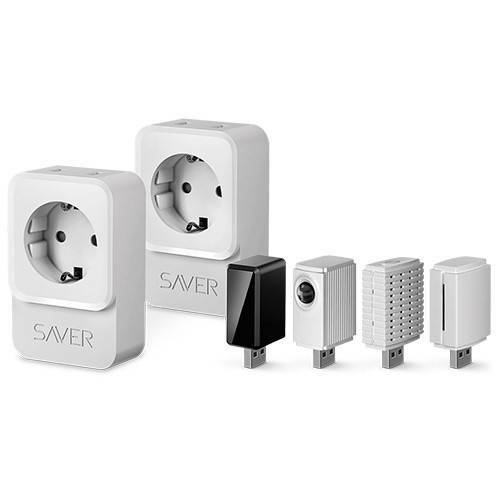 At last, we present the long-awaited SAVER sets and plug-ins to provide you with real-time control over your house via a smartphone. With our smart-home system, you will be able to do household routines remotely from anywhere around the world. 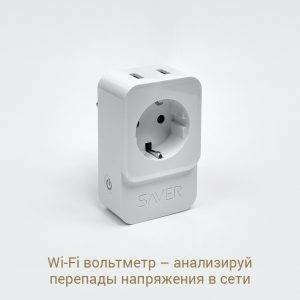 You no longer have to waste your time and get anxious worrying about what’s going on back home – SAVER is here to do it all for you: the prompt helpers will adjust the air temperature and humidity level, turn the kettle on and the iron off, enhance the Wi-Fi signal where it’s weak, and sync the lighting with the alarm clock. SAVER plug-ins will help you save on power bills by optimizing the operation of your household appliances according to your power rate. They will immediately inform you about a break-in and any motion inside the house. In addition to taking on the control of your appliances, the system will also bring you peace of mind, as it can simulate the presence of people by turning on the light and music, and help you watch over your children while you are away. SAVER is a must-have for cottages: it will maintain the desired temperature in the garage or any other room and report any faults. The smart-home system is a great investment, as it will head off costly repair resulting from sudden water-supply or power failures. 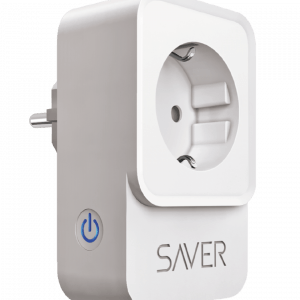 SAVER will protect your appliances from voltage surges; whenever overload or a short circuit occurs, the system will cut off the power to protect the wiring. It can handle all of your appliances such as the TV, range hood, garage doors, and any RF-controlled devices. To gain full control over your home environment, download the free application for your iOS- or Android-based mobile device. 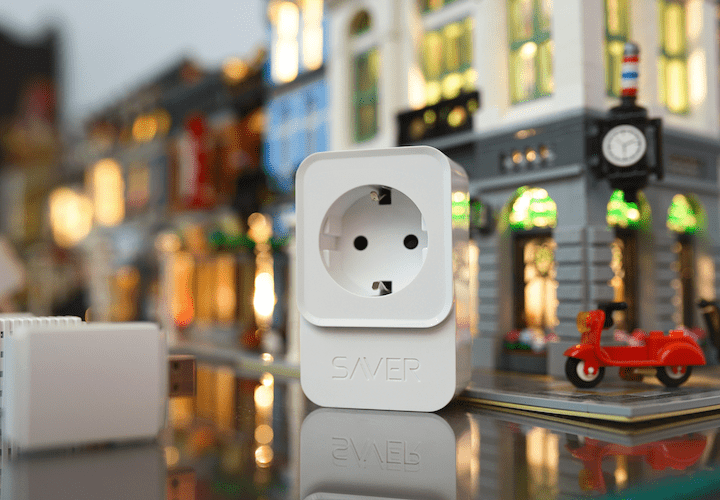 Once you’ve inserted a SAVER smart plug into the mains and configured it, you can control it all no matter where you are. The system can be programmed to run on a custom schedule and enables you to operate the household appliances via your smartphone. The Christmas season is a wonderful opportunity to make yourself a gift of turning your home into a more comfortable place with the SAVER system. Leave the tedious routines in the passing year – take control of your personal surroundings and tune your home to your liking. Please yourself and your loved ones – tap into the boundless opportunities offered by SAVER. 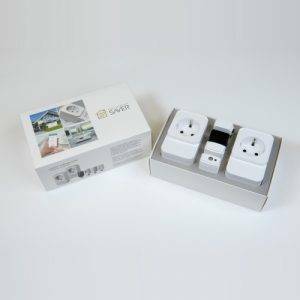 To get started with our smart helpers, purchase a SAVER smart plug and one of the plug-ins, or simply purchase a complete set, which comes with everything you need to keep your home neat and clean. There’s no better gift than freedom from all those dull routines. SAVER, a keeper of the hearth, a guard, an insurance agency – all in one for your friends and loved ones.